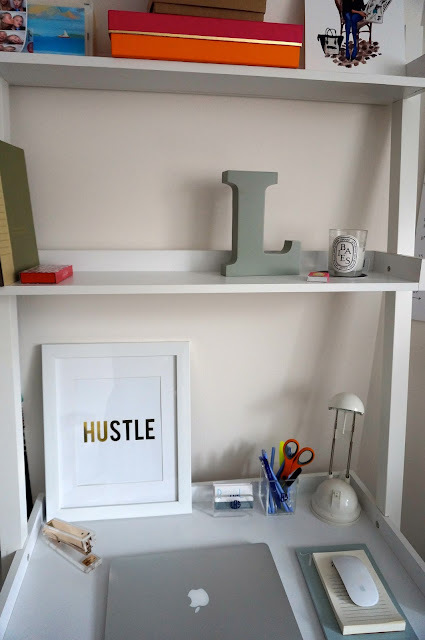 I know I teased you guys a few weeks back via instagram with a snapshot of my home office, but I wanted to wait until I had my brand new camera to take some nice snapshots of my work in progress. 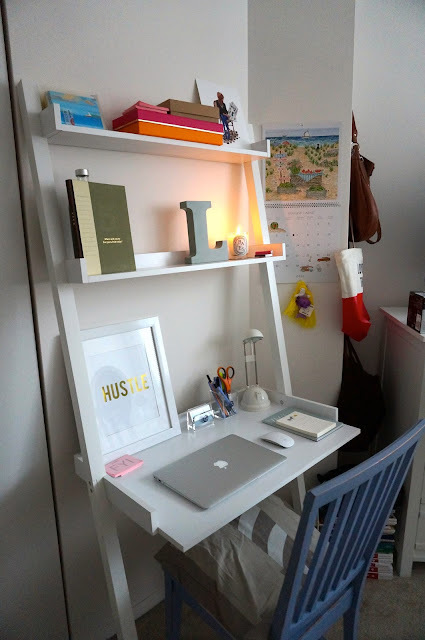 I think that it is important to have an area of inspiration and motivation, which is why I decided to re-arrange my room and put a desk in! Decorating it was the fun part. With my new laptop, decor from Design Darling, Dipytique, and more, I put together this inspiration. I still have a bit of work left, but I wanted to share this with you all. Below you will see where I feel motivated whilst at home. Hope that you enjoy! PS - Do you have a home office/desk space? What do you use to decorate it? Please feel free to leave any tips or suggestions for my office space! What a nice little space! I love the Hustle typography! I would have to make the office inviting and warm or else I'd never want to sit there. Looks so great Lindsey!!!! I have been waiting for this you little tease you! 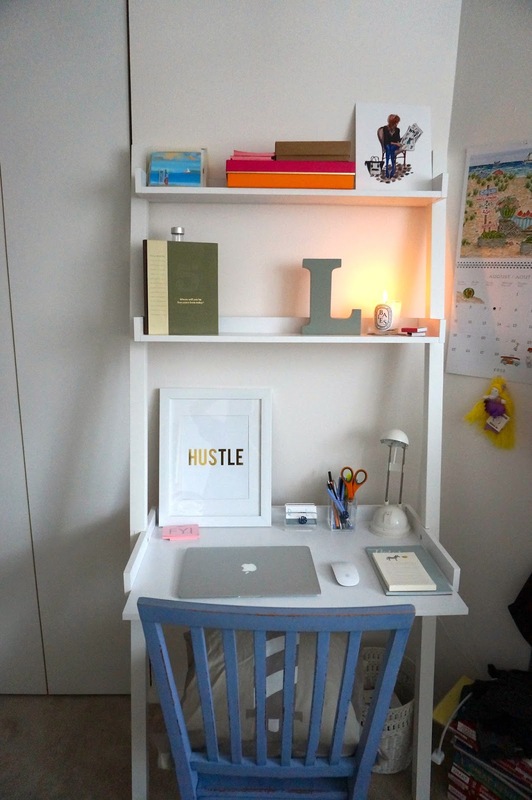 I love how organized your office is and the decor is great! Where did your desk come from? I love it as well as those cute FYI cards I see!